This beloved story of love, courage and redemption is the longest-running musical in West End history. 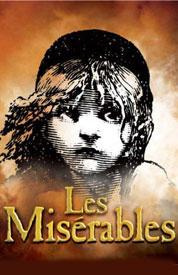 Les Miserables has indisputably become the world's most popular musical, having been seen by over 55 million people worldwide, in 40 countries and in 21 languages and is approaching it's 25th year. From its celebrated opening in London in October 1985, this adaptation immediately captured the imagination and enthusiasm of the theatre-going public. Set in 19th century France, the dramatic score includes the songs "On My Own", "One Day More" and "Do You Hear The People Sing? ".